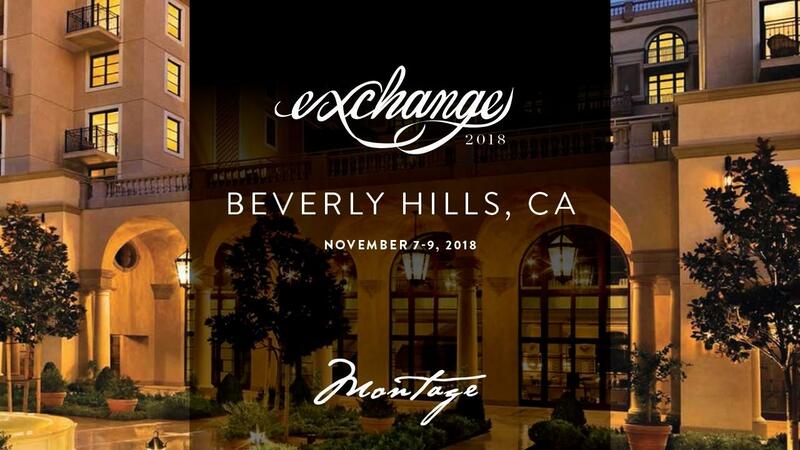 Exchange is a three-day immersive event that puts you face-to-face with leadership experts in top industries and side-by-side with world-class thinkers. You'll go deep with your personal and professional growth through new experiences that will broaden your perspective and add value to your leadership. Every year is an adventure to a new and vibrant city, and this year is no exception. Join us in Beverly Hills, CA, November 7-9 and experience the magic behind some of the most luxurious brands and notorious leaders under the California sun. This Exchange will be unforgettable.